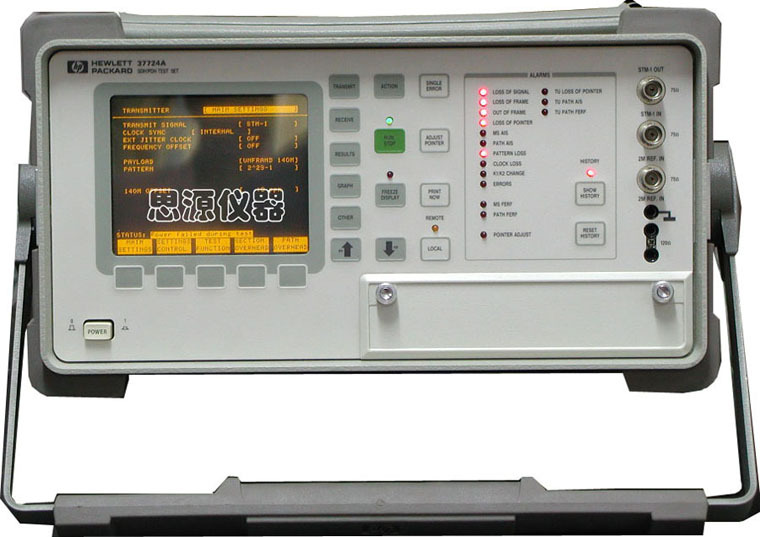 The HP 37724A is a comprehensive field portable SDH/PDH test set for applications from 2 Mb/s (E1) up to 622 Mb/s (STM-4). Generation and analysis of the SDH overhead, as well as embedded tributary payloads is/ provided. Payload mappings at 2, 34, and 140 Mb/s are included and can be unframed, framed, or fully structured down to a 64 kb/s timeslot. Separate PDH ports at 2, 34, and 140 Mb/s can be configured as drop/insert or transmit/receive allowing for SDH/PDH cross multiplexer testing. Electrical interfaces are built-in and a range of plug-in modules offer optical interfaces at 1310 nm and 1550 nm. 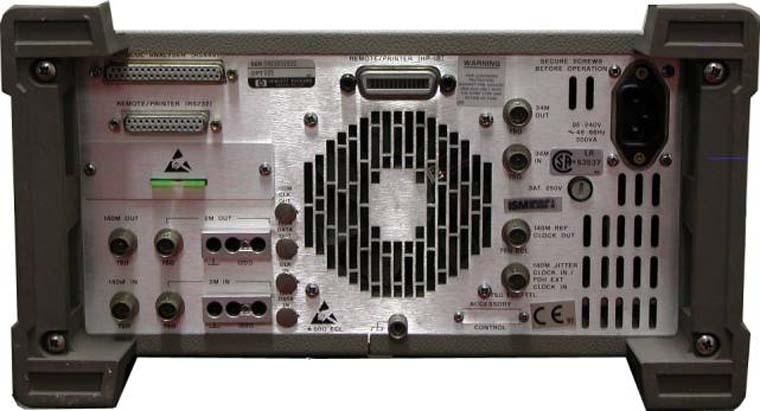 With the HP 37724A you can verify the operation of SDH network alarms, error monitors, automatic protection switches, pointer processor, and de-synchronizer circuits. Results are presented clearly on a large screen in text or graphics format.